It’s our tenth netcast, and as is the tradition, the roundtable discussion is both light-hearted and full of important game information. This week’s panel is made up of regular guests Jackie Kerr, Brooke Thompson, Sean C. Stacey and Jonathan Waite. Subscribe to the ARG Netcast feed through FeedBurner or via iTunes. The Vanishing Point game is over, and Sean was there in the flesh for the festivities. Get the skinny on the behind-the-scenes action! Township Heights comes to a sudden and unexpected end. Was this a cash-grab or is the game still going, with the apparent endgame being part of the game? Gumshoe is billing itself as an interactive radio play. It launches on Valentine’s Day, and we’ll be listening. Meigeist kicks it old-school with enough content, puzzles and interaction to satisfy a multitude of players. The Sector Seven/Transformers ARG viral campaign stalls. Fanboys and fangirls around the world really want this to be more than what it currently is. Odina Nova will relaunch in March after a short hiatus. 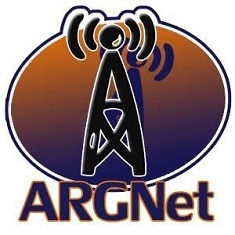 Our very own Jessica Price has the details on ARGNet. The Heroes 360 experience launches for the hit NBC television series. Save the cheerleader, play the ARG? The Library of Babel site for the Perplex City game holds what could be the final clue for finding the Receda Cube, after an article/advertisement in the London Sunday Times. Find it soon, please. Monster Hunters goes live, a tie-in with the North American release of a South Korean movie called The Host. Did you get your Yeti in the mail? Capturing the audience — with 11 games concurrently running, where can games draw their players from? How do they target new players? No listener email or voice mail. Have we been reduced to “I’ll call you sometime, I promise” status? Jonathan’s birthday falls on Superbowl Sunday, and his Colts are in the big dance. It’ll either be a victory hangover on Monday, or a crying-in-the-beer hangover. Either way, send the aspirin now. Our open call for writers is of great importance right now. Get involved, you lazy writing bastards! (Stringers welcome — listen for a definition). Contact us at our special netcast email address, [email protected] with your tips, suggestions, concerns and submissions. Call us on our ARGNet voicemail at 630-274-5425. Come Spring, will Odina Nova put the RAWK in Ragnarok? hey guys, great show this week. thanks for the kind words about sammeeeees… but i’d like to clarify one thing about the game. although i did do nearly all of the writing work and puzzles, wendy way (who played dr. kinder & singing nun) took on a big part of it as well. she helped me pull together puzzles, proof, send out packages, etc. she was also a back up for characters emails (in case of illness). my friends and neighbors also helped with computer stuff and photos. i would not take on a game (and the responsibilities that go along with it) without a “back up”. the game was my creation but i did have some help. thanks again. your show is a delight!!!!! cheers to you all!!!! !